It’s been a few days now since my last update on Project: The Beast (WIP) so I thought I’d share a little more about this journey. I’m currently on restart #3 of the project. 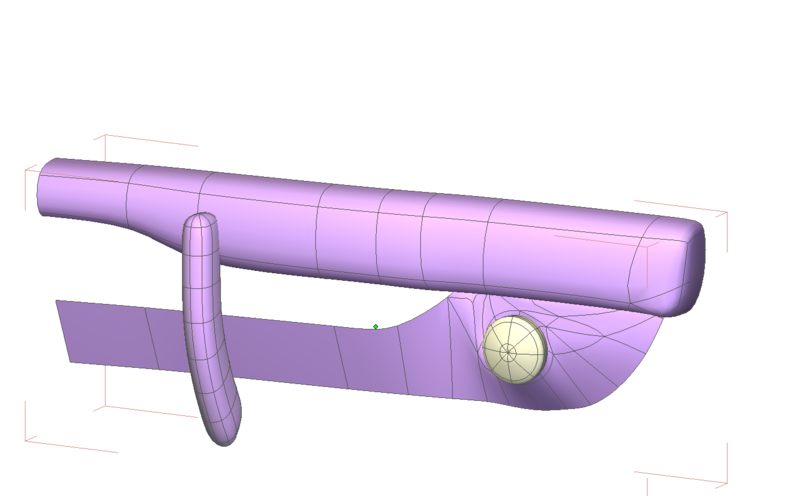 As I’ve watched some additional tutorials on modeling cars, I would realize that a decision I made early was going to make the process a lot more difficult. While I’ve made a few updates on the mesh for the body, I’ve spend a lot of time lately working on other pieces and parts. I was going a big crosseyed trying to find vertices to tweak on the body and needed a break. 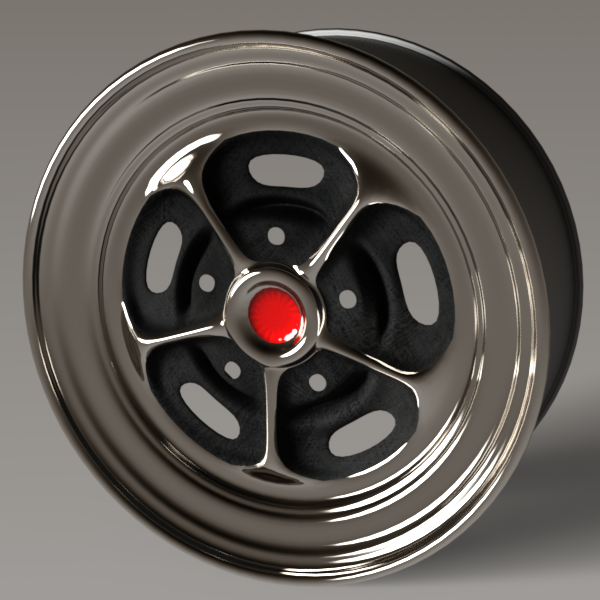 Mag wheel created for my 1968 Charger modeling project. Lugnut created for my 1968 Dodge Charger project. I’ve shared both of those on ShareCG as well for others to download and use however they’d like. 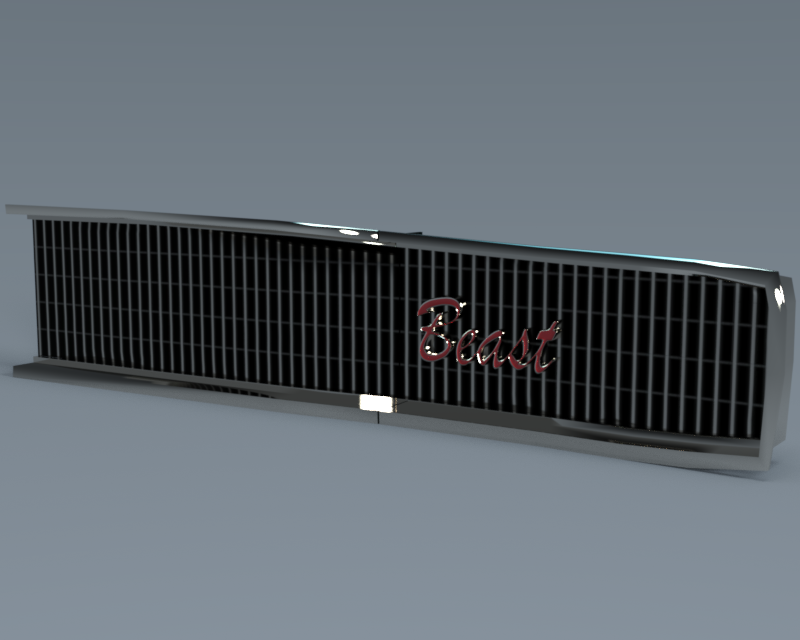 Then I created a custom logo badge for the front grill. 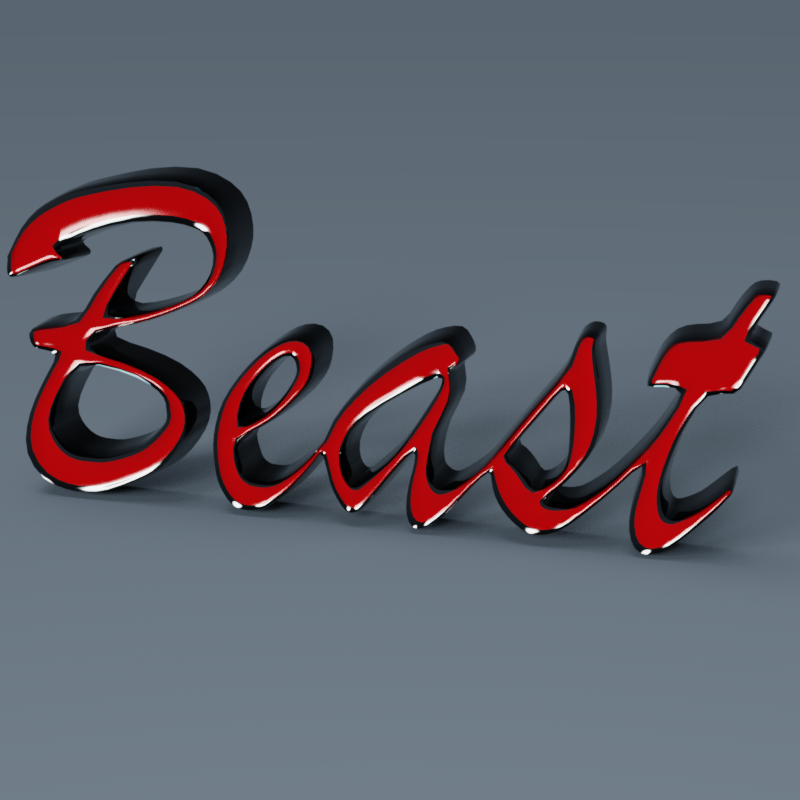 Normally it would say “Charger” there, but I’ve changed that to say “Beast”. This post will be updated with my work in progress snapshots from a new modeling project I’m working on. My girlfriend’s favorite car is the 1968 Dodge Charger. 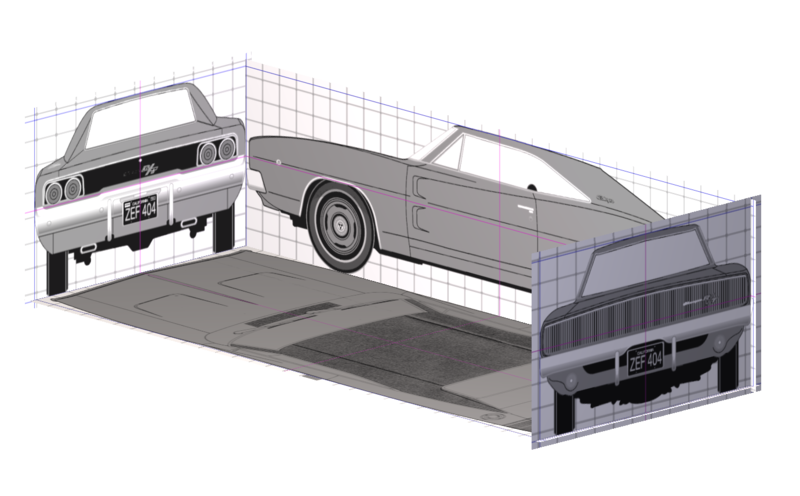 If you look around for existing 3D models, it’s easy enough to find a 1969 Charger. But the 1968 had a few differences mostly on the front and back ends. While I can find a 1968 model on Turbosquid, $125 is more than I am willing to pay for a single piece of hobby content. I’ve watched a few tutorials on modeling a car in Hexagon and I think the one that has the method that works best for my mind is Master Hexagon – Car Modeling Basics available from Daz 3D. 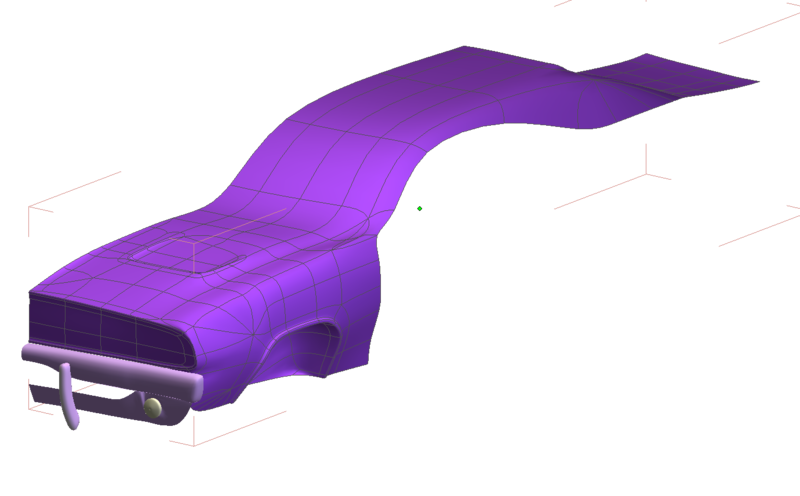 I did however borrow setting up the reference panes from an older tutorial on YouTube Modeling a Car, Part One, Hexagon. I’m not going to write a lot about how I’m doing this. I didn’t intend for this to be a tutorial. Merely a place to capture the work as it progresses. BTW, in full disclosure what you’re seeing is my 3rd start on this project. I trashed the first two as the mesh was getting too difficult to tweak and smooth out. This approach has worked much better. The first part of the Charger that I modeled. Basically the whole car “grew” from a single quad face over the top of wheel well. 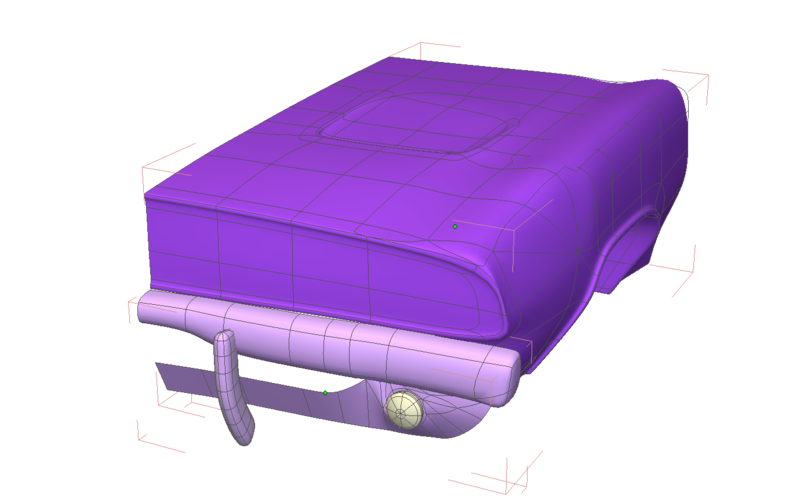 While I did model a bit of the front of the car, I jumped to the bumper because I made it a separate part of the object. Half of the front bumper, including a small push bar and an integrated driving light. I finished out the front of the car before starting to move backward from here. Half of the front-end of the car body plus the bumper that I finished in the last step. I kept following back from the hood to flow up over the windshield and across the roof. Showing the body from the front, extending the hood up and over the roofline. The rear roofline, back window, and the surface of the trunk. 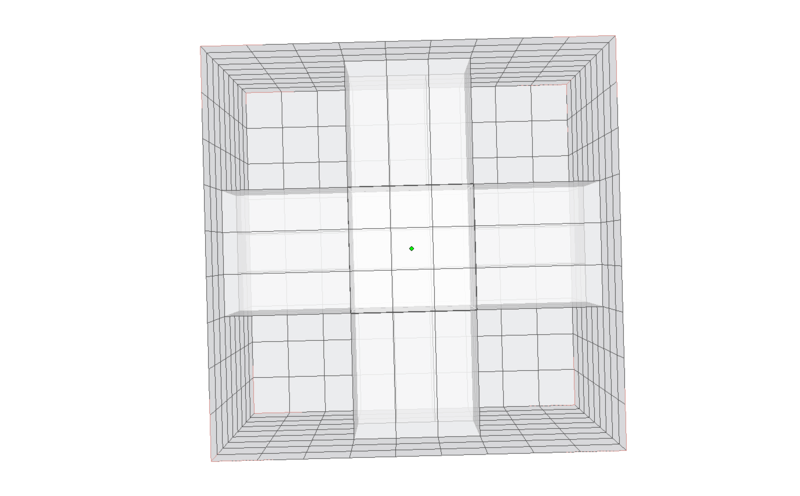 In Daz 3D’s Hexagon forums, one of our newer modelers asked about how to create a cube with intersecting holes from two sides. In his Penetrating a Rhomboid post, I suggested using the bridge function, which got halfway there, but I realized after he tried it that I could have been more complete in my description. So, this is how I did it. 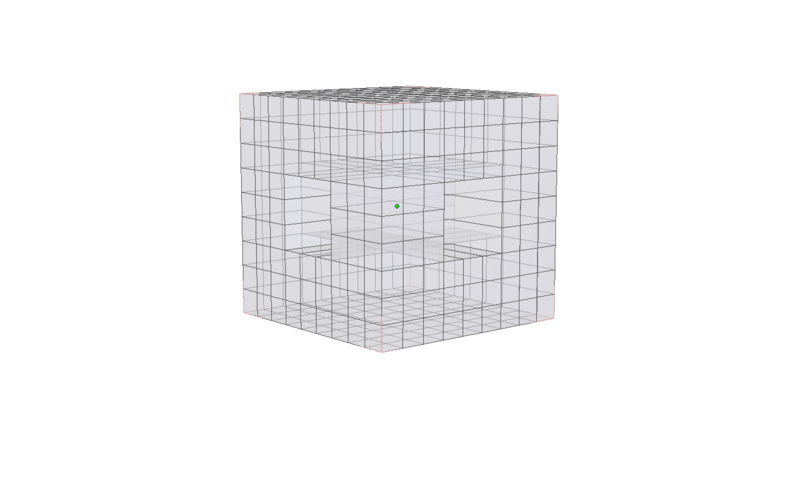 I created a cube primitive with 8 tesselations to give me a nice center set of faces to work with on each side. 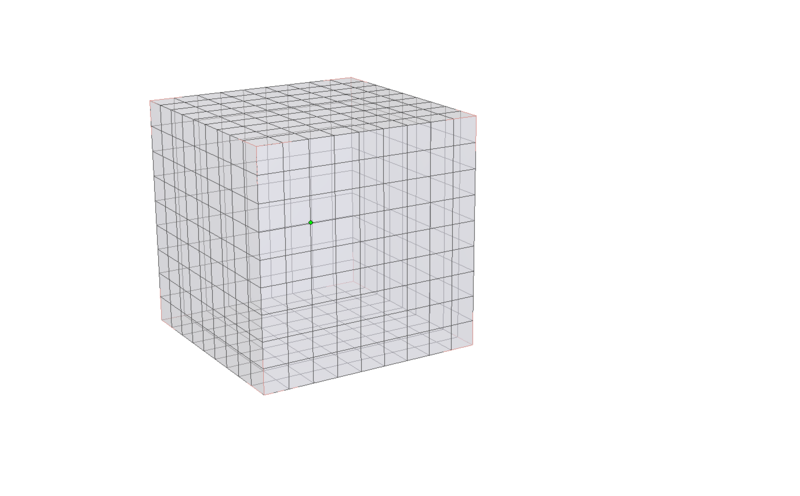 The cube we’re going to pierce. I removed the 9 middle faces on each side, leaving the top and bottom solid. 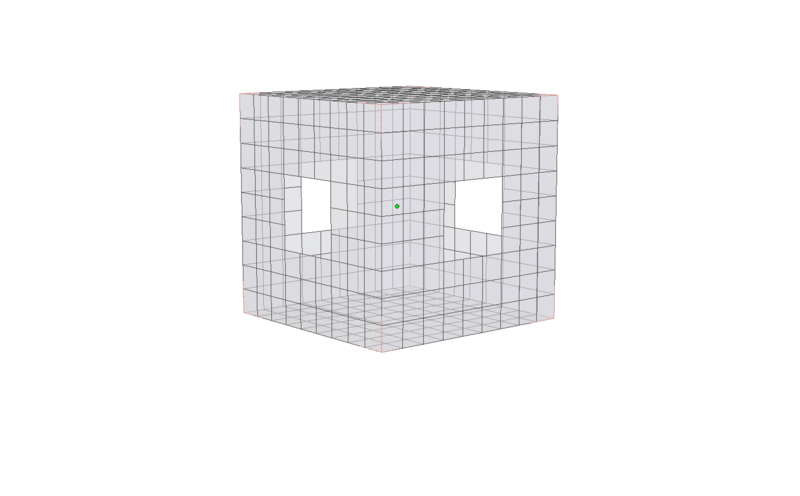 I selected the edges around two opposing faces (click on one edge of each hole and use the Loop selection to select the hole). Then in Vertex Modeling, I chose Bridge and accepted the results. Then I repeated the process to bridge the other two holes. This creates the structure, but as you can see, the holes don’t go all the way through. Each bridge is blocking the view through the other. I hid the top of the cube (created a material zone with the top faces and hid that zone) so you can see inside the cube. I used Tesselate by Slice to slice each bridge as close to the other bridge as I could. Back inside the holes, I selected the new faces that were blocking my view through each hole and removed them. Now you can see through, but if you look closely inside the hole there is a slight cap between the edges of each hole. 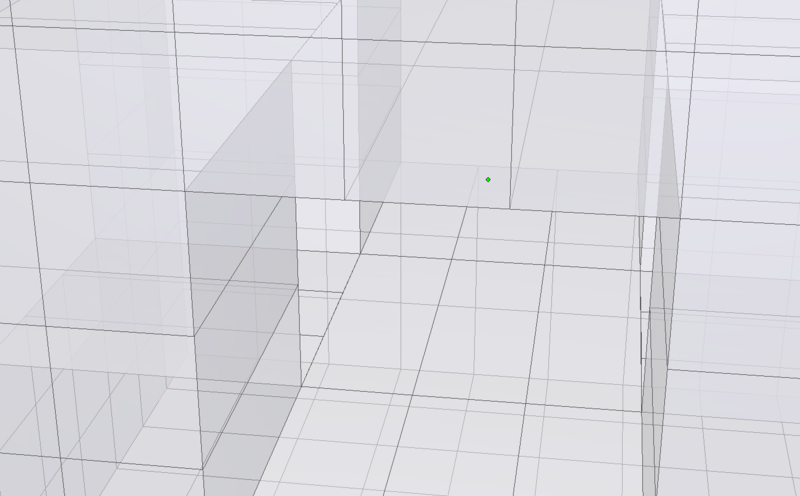 Just to show I wasn’t quite done yet, I set smoothing level to 2. See that mess in the middle? 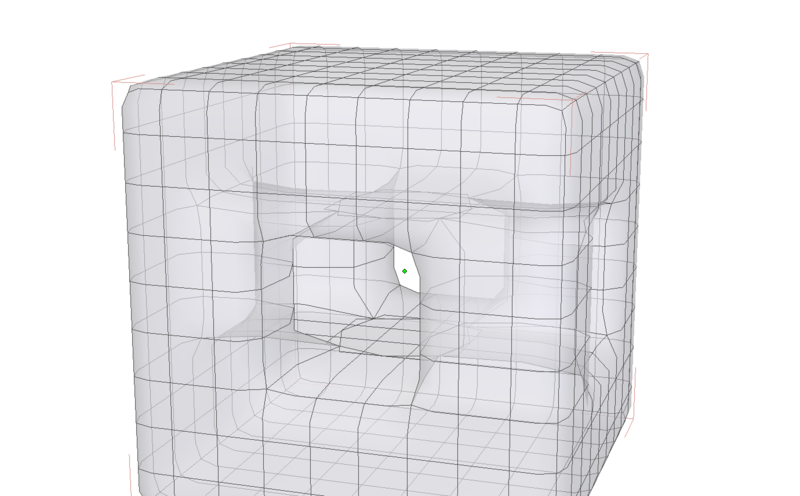 That’s because there are still some faces from each hole that are overlapping there messing up the smoothing algorithm. I removed the faces from one of the two holes, leaving the faces from the other one in place. Once again I took the remaining faces and used Tesselate by Slice to create corresponding edges, making a grid in the center. Then I used Average Weld again to weld it all together. Finally, with Smoothing turned to 1 you can see all my gaps and such are gone. 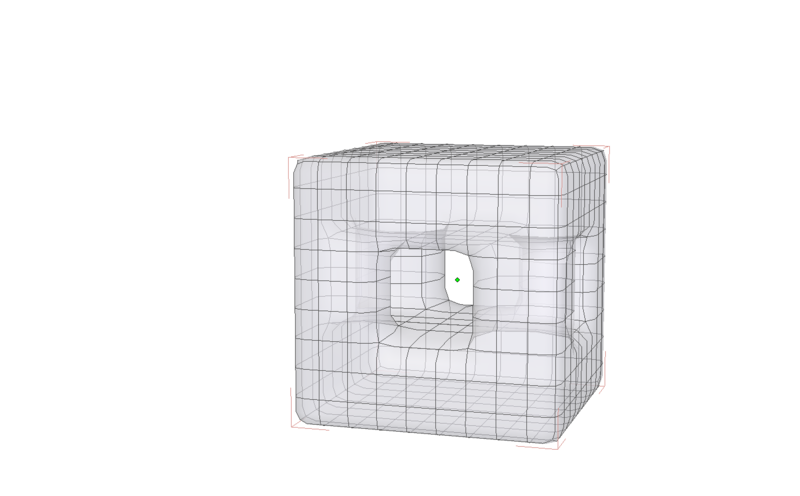 I could adjust the edges of the holes a bit to make them more round instead of square, add some edges around the outline of the cube to keep it from smoothing too much, but that’s just tweaking it for the effect you’re going for really. This is a tip for people who may be using RiverSoftArt’s wonderful Clothing Converter from Genesis 3 Female to Genesis 8 Female for Daz Studio. …I might have a tip for you to make your converted content easier to find. Change your command prompt location to the location of your main clothing folder for Genesis 8 Female. What this will do is create a “folder” in your Genesis 8 Female\Clothing folder called “Converted from G3F” that will point to the location where the converter is putting your clothes. It won’t show the metadata tags like “Wardrobe” and such, but everything will load just like it loads from the actual location and you don’t have to browse two different content library structures to find your converted clothing. As I’ve gotten back into modeling some of my own 3D content, I realized how it has given me more freedom of expression. A lot of my renders lately are of the roleplaying characters for my girlfriend and I to create snapshots of stories we’re co-writing. We tend to have very specific ideas about the look of our characters and the things they might own; so being able to create simple things myself has allowed me to reach my goals for my images without having to be limited by the content that others have created. For example, our characters recently got married in-game. So we wanted the images I created to have wedding bands. But she’s particular about wanting to have silver/platinum and simple, but not entirely plain. While there are a lot of ring collections available from marketplace sites like Daz 3D or Renderosity and even freebies from places like ShareCG, nothing was quite what we needed and I didn’t feel like spending $10-12 for a collection of rings that were “close” when I could create some myself. It took me a full evening to create the rings we wanted, but most of that was actually about getting them to work properly as props attached to the character’s hand rather than the modeling itself. Another example was a simple picture frame that I needed. The story is that they are fans of Tim Burton’s “Nightmare Before Christmas” and so we needed a picture to hang on the wall with a frame that was appropriately just a little unusual. It took me less than 20 minutes to come up with this as opposed to buying a collection of frames or spending an hour searching for a free one. Picture from Nightmare before Christmas framed and hanging on the wall. As a final example, the crib below is based off a design that Jenny really wanted to use for the baby. This project took longer because of a couple of false starts on my part. I could go into my mistakes and rework at length, but in the end it was mostly about knowing when to do the UV mapping of the parts of the crib. 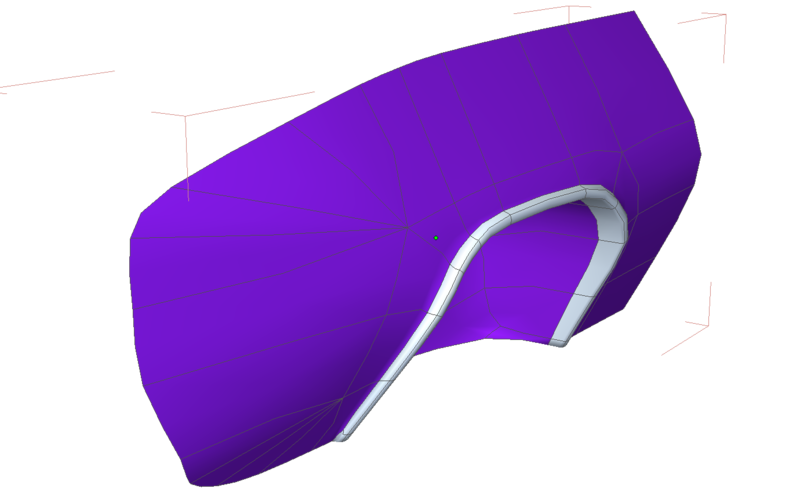 It also represents the first time I created something specifically to use Daz Studio’s dForce cloth simulation (the canopy is modeled from a basic cone shape and the dForce simulation makes it drape properly). Baby crib with a lace canopy. My point to all of this is that none of these objects existed exactly in any 3D market or freebie sharing site anywhere. Learning how to model them myself allowed me to create exactly the items I needed for my image instead of just browsing through my collection of 1000s of pre-made items to find something that is “close enough”. Not having to compromise (and yes, being a bit proud of rendering with something I created myself) is a good feeling as an artist. I encourage anyone who wants to take their artistry from composing the objects created by other people into a realm where you’re creating images that conform exactly to your vision to learn at least the basics of modeling. You may not ever want to get to the point where you’re creating your own clothing or modeling an entire forest. But the freedom you gain from knowing you can create your own lamps, picture frames, dishes, even furniture is a wonderful new experience! Note: A lot of this information is taken right out of Daz 3D’s Getting Started in Iray tutorial video on YouTube. If you learn better from videos, you might find that helpful. I’ve seen repeated questions about improving performance of the Iray drawing style in Daz Studio 4.10 viewports. Imagine my surprise when I was watching the Getting Started in Iray tutorial video and found a wealth of information already available on the topic! Photo realistic rendering in the Daz Studio viewports can slow down even some of the fastest computers out there because Studio is trying to interactively create a “final” image and has to recalculate light paths, material interactions, shadows, and such each time you move your view or relocate content. This can cause people to feel like the program is really sluggish and/or that it causes everything else on the computer to grind to a halt every few seconds. 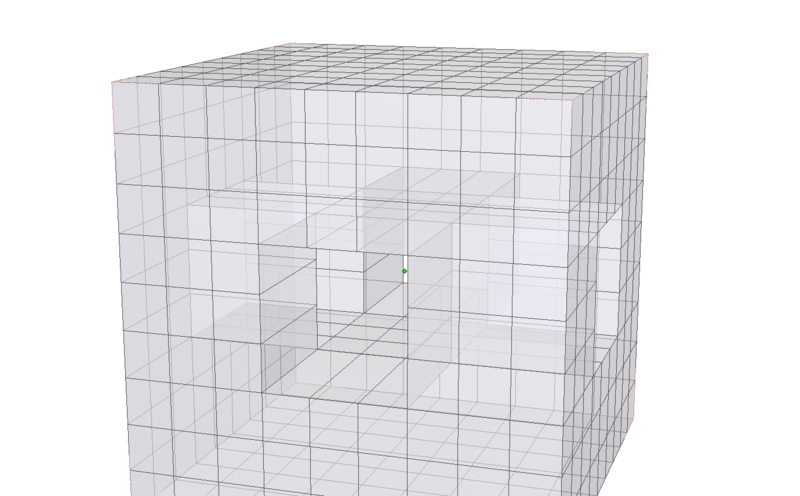 Technically, NVIDIA Iray has two modes that it can render in. The one that is the default and we’re most familiar with is Photoreal. With only a few exceptions, this will be the mode you want to use for final image rendering. There’s another mode called “Interactive” which has many of the same features as Photoreal. 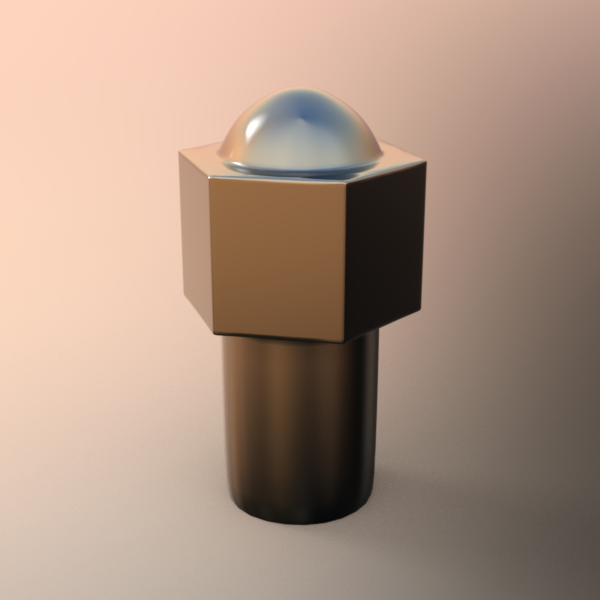 However, because it lacks support for computationally expensive features like subsurface scattering and caustics, it will generally render much faster. On the Advanced tab of your Render Settings, you have the option to select which devices (CPU or graphics cards) can be used to perform Iray renders. There are separate selections for Photoreal verses Interactive. Personally, I don’t mind if Studio has to fail over to my CPU for a large final render, but for Interactive mode that we’re using on viewports, it’s probably better to uncheck the CPU. This will also stop the Iray engine from grabbing the CPU for rendering purposes and slowing everything else down on your computer. While we’re on the Render Settings, go back to the Editor tab, Render Mode and change this to Interactive. Technically you might think this would ONLY affect if you’re doing a final render. However the Daz Tutorial indicates that Rendering Style and Draw Style are linked in some way; so it’s best to set this setting to Interactive as well. Just don’t forget to switch it BACK before you do your final rendering! Next is setting the drawing style for your viewports. There’s a good chance you don’t have the Draw Setting tab open in Studio. Go to your Window menu -> Tabs and select Draw Settings. You can dock it wherever it feels most natural to you. Also, you will need to repeat the steps below for each viewport that you’re using Iray in. Most of the time, I will set my Auxillary (Aux) Viewport to Iray so I always have a rendered looking image to refer to even if I’m using Texture Shaded on my main viewport. Draw Settings changes focus for each active viewport that you click on; so make this changes in any viewport using Iray. Go to your Draw Settings tab, Drawing section and change the Draw Mode from Photoreal to Interactive. When you’re using Interactive Draw Mode, Studio will pixelate your image when you start moving your view around and then will resolve it back to a rendered image when you stop. Response Threshold tells Studio how sensitive to be to view changes before it changes to the pixelated view. The lower the number, the more quickly it decides to pixelate the image. Higher numbers make the Interactive rendering engine work a little harder, but if your graphics card can handle it, it’s probably less annoying for you. You may need to play with that value to find a number that works for you. If you find the pixelated image still feels too sluggish when you’re navigating around your scene, you can choose how the content display changes when the Response Threshold is exceeded. As I mentioned, by default it pixelates the image, but from the Draw Mode tab, General, Manipulation section, you can choose to use either wireframe or solid bounding boxes instead. This is another option for those who are using slower computers or if you have a very large scene with a lot of detailed content. I hope this information is helpful to someone. The Tutorial video covers a few other pointers on using Iray as part of the scene setup process. I highly recommend it to anyone getting started in using this tool. I’ve seen some posts lately in the Daz 3D – New Users forum about people wondering about how to organize their content. While things like Smart Content and Content Categories have made this a lot easier than it used to be, I still find myself typically browsing the content folders. So, to make things easier on myself, there are some standard things that I do to make content easier to find. In this entry, I’ll talk about how I move / copy / rename folders for my main characters. The method I’m about to talk about does have a drawback. When there is an update to something that was moved, you will need to go and repeat the move / copy of files and folders. I’ll cover that more at the end, but if you don’t want to have to remember to update your folders and files after a product is updated, this may not be the method for you. I have three issues when I’m looking for a character to use. First is that when I’m looking for characters, the names of the folders aren’t always sufficient. 6 months after I bought it, remembering that Giada is a young teen looking girl based on Aiko 8 is almost impossible for me. Second, even if I do remember the character’s name I’m looking for, the number of clicks to get there is annoying. I’d rather have my base characters available at a higher level in the structure. Finally, I find it annoying to have all those folders with the default folder icon. Wouldn’t it be better to have the character’s headshot instead of a folder? So, to load Aiko 8, I’d have to click on People, Genesis 8 Female, Characters, Aiko 8, and then I find the Actor file to load her. Also, unless I magically remember that Giada and Yuka are two Aiko 8 variants, I might have to click on each one, see their icon and then my memory is jogged. I will describe the actions I take on my character folders below, but here’s a diagram of the changes I make. Several key steps here in what I’m doing with this organization. All of the main characters start with an exclamation point (!). Since Daz Studio sorts things alphabetically for you in the content folder view, this will force all of the main characters to the top of the list. I copy of all the actor files (and their thumbnail png files) to the Characters folder. This does two things for me. Second, since the Actor file and the folder name are the same, it changes the icon on the content browser from the default folder to the character’s Actor thumbnail. If the character is another layer down (say for example with Giada, the folder path might have been People> GF8 > Characters > FWSA > Giada), then I move the whole folder up one level. While I appreciate the effort that Fred Winkler and Sabby put into their character, the “FWSA” folder is just an unnecessary click to get to what I really want. As I said, this is a method that works for me. If it at least gives you some ideas on how to help you get your hands around the 3D Content that you own, then I’m glad I helped. Feel free to post questions here or, if you’re on the Daz 3D forums, drop me a PM at JonnyRay. I will keep adding other categories of content to this series. Check my Content Management category for other similar posts. So way back in 2014, I wrote about the research I was doing on the Current State of Rendering Hair my goal at the time was to see if I could apply the concepts of that research (which was designed for fiber based hairs) to the more common transparency mapped hairs of the hobbiest market. I was targeting the 3Delight rendering engine in DAZ Studio. Fast forward through a number of life changes in 4 years and I’m starting to look at this again. However in that time the rendering engine of choice for DAZ Studio has changed from the Renderman compliant 3Delight to the physically based rendering Iray engine from Nvidia. 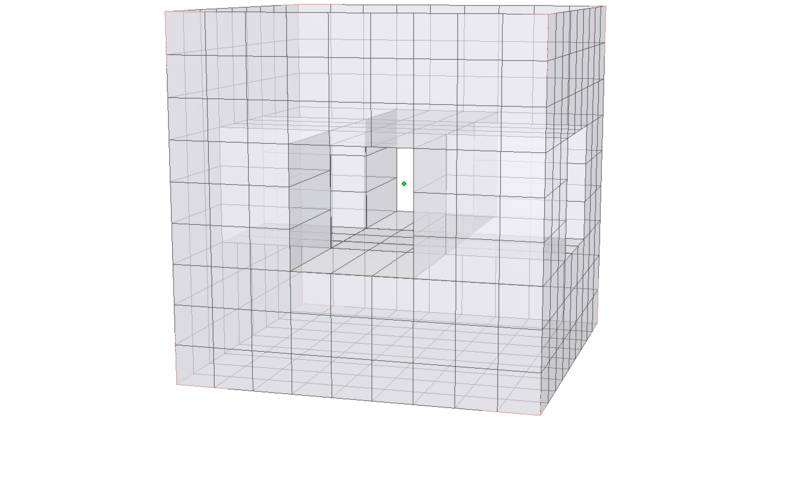 This has some advantages for me since the core of the Material Definition Language (MDL) already has a lot of the concepts of 3D surfaces built into it, I mostly need to write some custom code for the scattering and transmission components. I also still have to work out how to make the rendering engine think a piece of geometry which resembles a long flat ribbon is actually a collection of hair strands, but I have some ideas on that one. Will provide some updates once I get somewhere with this. Conall and Simi symbolically walking a new path together. So the last post I made was like what, 2015? Three years sure flies by. Lots of life changes in that time, which I won’t bore you with. But I wanted something on my home page to represent all the work I’ve been doing lately. My current MMO of choice is Secret World Legends (f.k.a. The Secret World). The re-vamp to a free-to-play game through Steam has revitalized the game, brought some much needed money for Funcom, and we just had our first new content release since Tokyo. Add to that the roleplaying community (both in-game and Twitter) and my lovely new partner Simi and the gaming life is good. I’ve lately gotten back into rendering using DAZ Studio and so there are a lot of changes on my 3D Artwork portfolio. This includes the fact that I started taking 3D Commissions from my friends in the Secret World. I have to admit as a long time fan of the 3Delight engine, I was a little skeptical at first about using the new iRay engine. But as I’ve gotten to understand the physics based lighting and such I have to admit the results are pretty amazing. DAZ must be happy I’m back to based on the way my bank account has been drained lately. That’s about it from me right now. Just thought I should have something up to show I’ve been more active than a 2015 post about MMO auction houses might have indicated. Please feel free to browse around and offer comments / feedback.